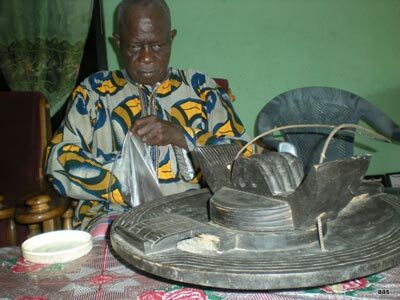 The Ezeogo is both the spiritual and temporal head of the people. He attends to the important deities of the community and is consulted on lesser deities by the priests and any other persons he delegates their attendance to. 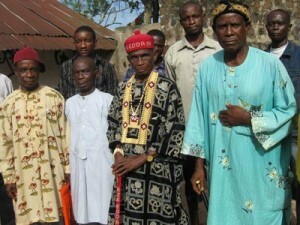 Ezeogo of Owutu Edda, HRH Okorie Orji Uzor. It is important to note that no Ezeogo has absolute authority over his people and every decision is by consensus. The paramount Ezeogo invites all the Ezeogo of the various communities on matters that concern the town or village group, and they, along with some members of the Royal family, form the cabinet. It is not just heredity that gives an Ezeogo prestige, but his personality, strength of character and practical weight. Therefore, an Edda adage observes that “Onye ukpa chiri Eze, ogo echie” (If a poor man is made king, the town closes/collapses). Aside from his personal qualities and attributes, he would count on the practical support of his patrikin to enable him maintain a worthy profile. As part of the need to maintain the Royal House properly, the Ezeogo always has the lion’s share of communal farmland, palm produce and animals killed during the hunting season. He is entitled to free communal labor on his farms on a selected “Orie” day once a year, and gets special allocations from fines and levies. The construction and maintenance of the palace are usually collective tasks. Source: Egbebu Liberal Movement. Edda Heritage.